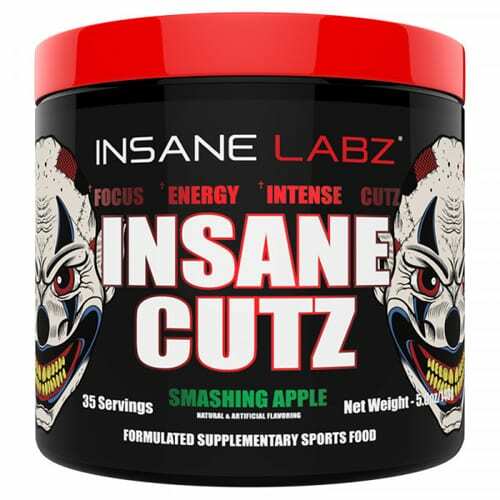 CAUTION: The INSANE Stack by Insane Labz could result in you getting locked up in an asylum. 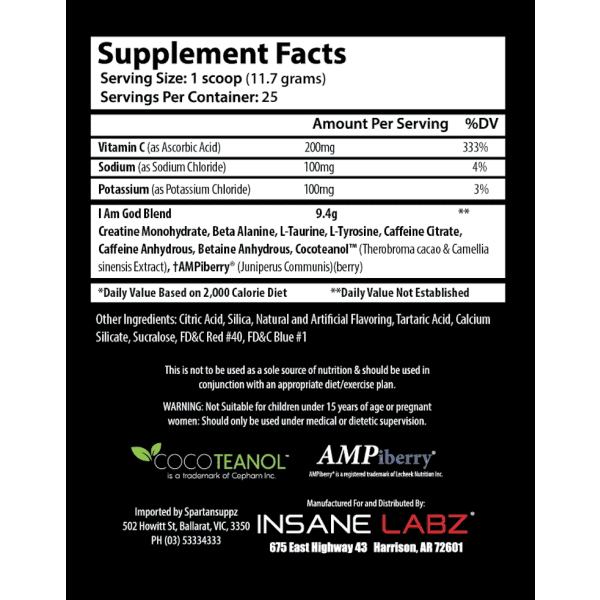 How crazy are you? 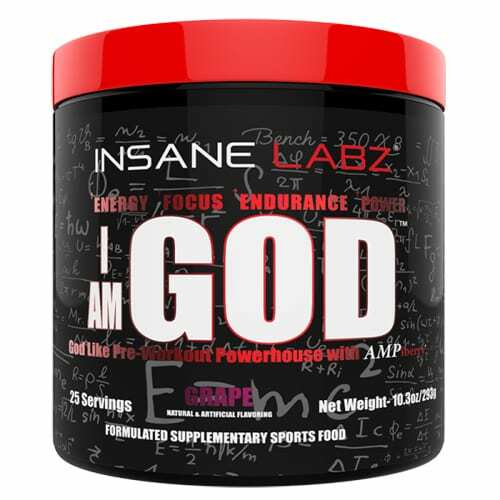 Insane Labz I am GOD will give you GOD-like energy like never before! 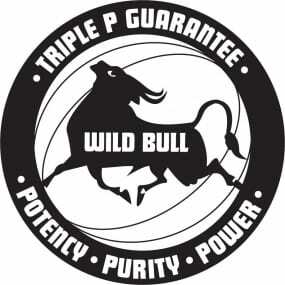 Take the plunge, if you dare. 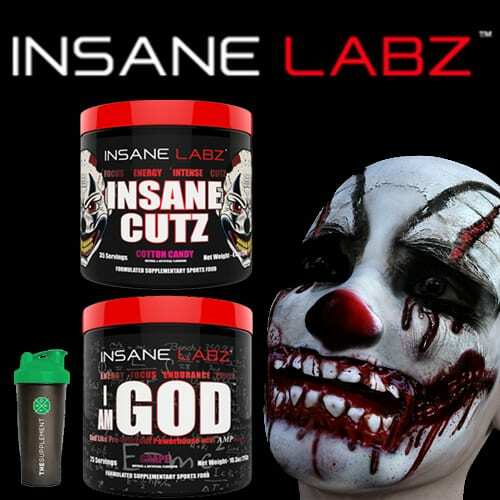 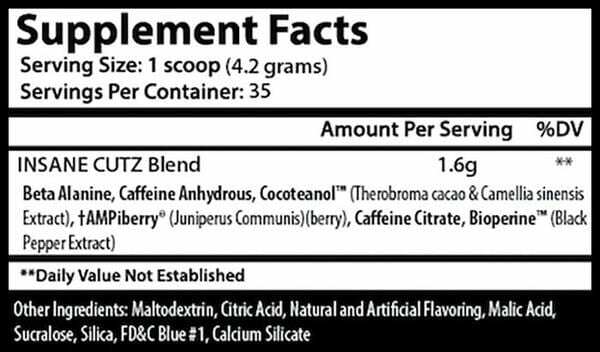 Insane Labz Psychotic is without doubt one of the stongest pre-workout supplements on the market today. 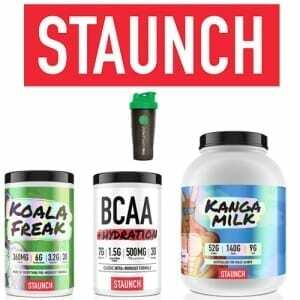 SAVE $5.90 if you buy this stack! 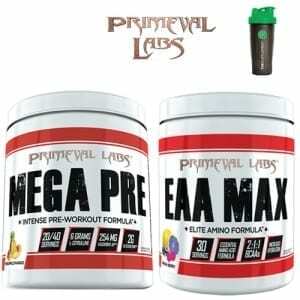 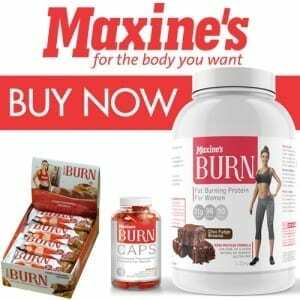 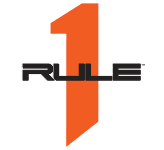 + Receive a FREE ‘The Supplement Stop’ Shaker (valued at $9.95) as an added bonus!